UPDATE: A full update regarding to re-opening of the Nipigon River Bridge can be found here. 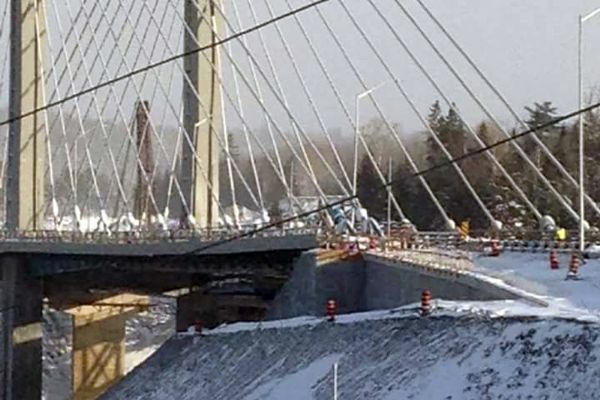 NIPIGON -- The newly-constructed Nipigon River Bridge has split in the cold, cutting the only transportation link between Eastern and Western Canada. UPDATE: A full update regarding to re-opening of the Nipigon River Bridge can be found here. 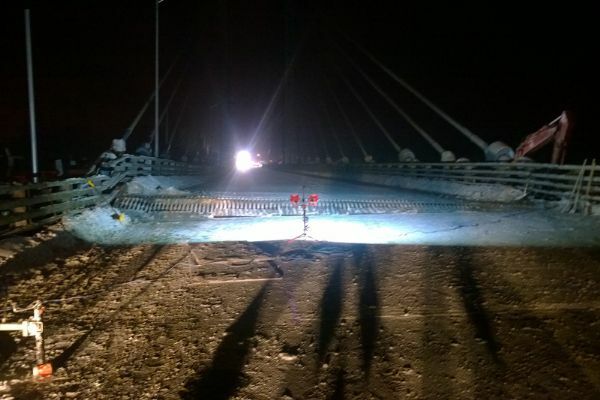 NIPIGON -- The newly-constructed Nipigon River Bridge has split in the cold, cutting the only transportation link between Eastern and Western Canada. 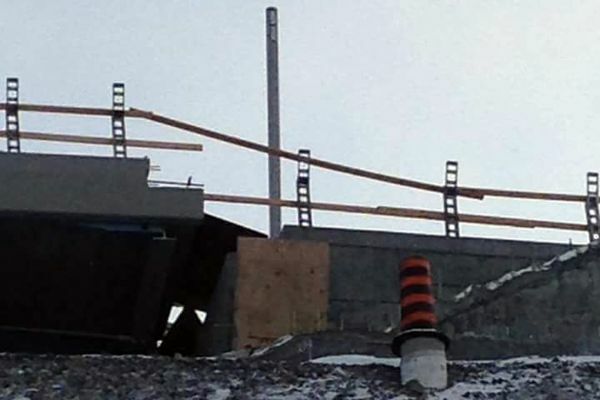 The Ontario Provincial Police closed Highway 11-17 indefinitely at the bridge at 3:05 p.m. Sunday when bolts holding the girder to the bearing on an expansion joint broke on the bridge's north side. 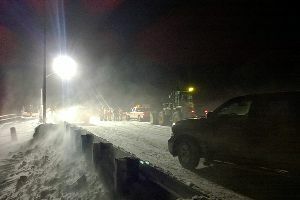 Engineers were on site Sunday evening, braving a windchill cold of -28 C to analyze the extent of the damage. Three years of construction ended on Nov. 29, 2015 when the two westbound lanes of the new cable-stayed bridge opened to traffic. The eastbound lanes of the old bridge have been closed for demolition as construction is set to begin on the bridge's mirror half. Minister of Transportation Steven Del Duca released a statement at 10 p.m. expressing thanks for the patience of residents of nearby municipalities and First Nations, as well as travelers. "I have spoken with Minister (of Northern Development and Mines) Michael Gravelle and (Nipigon) Mayor Richard Harvey and assured them that the MTO will do everything they can do to restore the bridge quickly, while also making sure that the safety of the travelling public remains of paramount importance," he said. The first question Gravelle is asking is, what progress has been made on that demolition and whether reverting traffic to the existing bridge is a possibility. While Gravelle conceded the story is developing as quickly as he can get information, he said the province recognizes the matter as urgent. Nearby Greenstone Deputy Mayor Eric Pietsch declared a State of Emergency at 6:10 p.m. and the municipality's staff is taking measures to ensure travelers are safe.